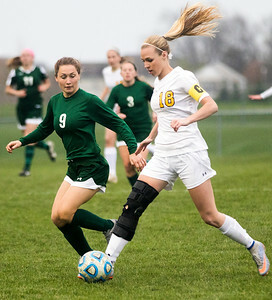 Sarah Nader- snader@shawmedia.com Crystal Lake South's Courtney Sengstock (left) Jacobs' Heather Hoffmann pursue the ball during the first half of Tuesday's game at Jacobs High School April 19, 2016. South defeated Jacobs, 3-0. 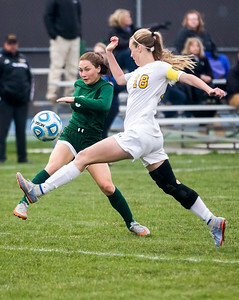 Sarah Nader- snader@shawmedia.com Crystal Lake South's Courtney Sengstock (left) follows Jacobs' Heather Hoffmann while she dribbles towards the goal during the first half of Tuesday's game at Jacobs High School April 19, 2016. South defeated Jacobs, 3-0. 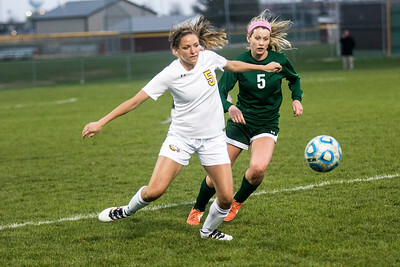 Sarah Nader- snader@shawmedia.com Jacobs' Emily Pasetes is scored on during the first half of Tuesday's game against Jacobs at Jacobs High School April 19, 2016. South defeated Jacobs, 3-0. Sarah Nader- snader@shawmedia.com Jacobs' Sydney Goll (left) and Crystal Lake South's Brandie Minogue run after the ball during the first half of Tuesday's game at Jacobs High School April 19, 2016. South defeated Jacobs, 3-0. 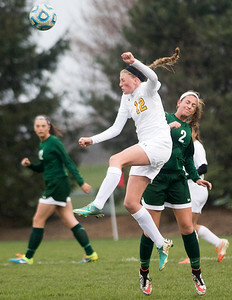 Sarah Nader- snader@shawmedia.com Jacobs' Maddie Belo (left) and Crystal Lake South's Ann Lewandowski pursue the ball during the first half of Tuesday's game at Jacobs High School April 19, 2016. South defeated Jacobs, 3-0. 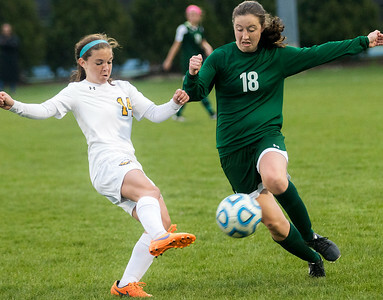 Sarah Nader- snader@shawmedia.com Jacobs's Hannah Mohan (left) and Crystal Lake South's Katherine Siavelis head the ball during the first half of Tuesday's game at Jacobs High School April 19, 2016. South defeated Jacobs, 3-0. 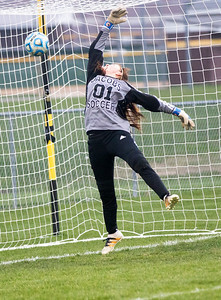 Jacobs' Emily Pasetes is scored on during the first half of Tuesday's game against Jacobs at Jacobs High School April 19, 2016. South defeated Jacobs, 3-0.